Postal workers on high alert for busiest delivery day of the year. HOUSTON (KTRK) -- Thursday was expected to be the busiest delivery day of the year for the United States Postal Service. About 2,000 packages normally go through the post office in Westchase. On Thursday, that number was closer to 3,000. That's a lot of extra work, longer hours and a lot more packages to keep away from any Grinch trying to steal Christmas. ABC13 spent the afternoon with long-time postal carrier Doug Reed on his Westchase route. "This is the only route I've ever had," Reed said. He has spent 40 years delivering mail to the people here. "I know them. Watched them grow up, have kids, come back. I have people that stay on one street. Their parents stay on another street," Reed said. This holiday season, there has been a 12 percent jump in packages shipped through the U.S Postal Service. Reed says this week the number of packages he dropped off has nearly doubled his normal amount. "A lot of people are doing everything online. Very few of them, I don't know if they go out shopping but they get packages every day," he said. Trucks packed with packages making frequent stops makes them a target for bad guys. Just this week, a letter carrier was carjacked and the mail truck eventually dumped. We're told carriers are always on higher alert around the holiday season, but even more after that incident. 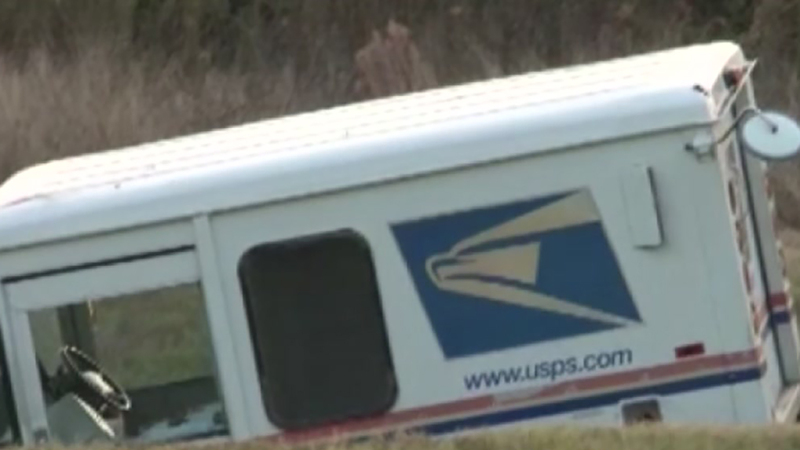 Authorities and the United States Postal Service are looking for two black men accused of stealing a mail truck. "We communicate with our employees constantly just to make sure they're aware when they're out there delivering their routes. If things don't look safe, we advise them to notify their immediate supervisor," said Acting USPS Communications Program Specialist Nikki Johnson. Reed says he knows anything can happen anywhere, but between him watching his own back, and people in the neighborhood watching for him, he doesn't worry too much. "In this neighborhood, there's been a long history in the way people look out for each other," he added. There's no slowing down, at least until next week. Carriers will deliver Express Mail packages on Christmas Day.